The book in your hands Islamic Studies – 2016 ( CSS/PMS ) By Hafiz Karim Dad Chugtai can be considered as the outcome of a problem and a pressure. 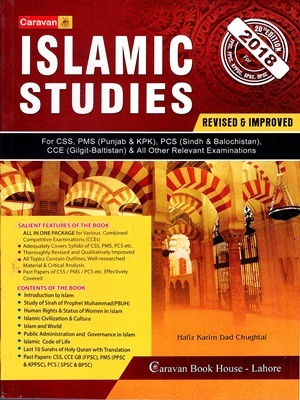 The problem was the unavailability of a comprehensive text book on “ISLAMIC STUDIES· for CSS in respect of revised syllabus and scheme of competitive examination introduced by FPSC in April 2015. The pressure was a positive insistence of friends, seniors and CSS aspirants on me to compile a relevant, well-researched and qualitative material on the subject. 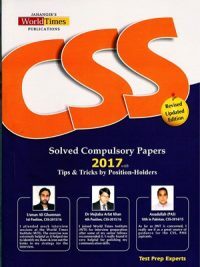 We have covered the whole new/revised syllabus in this project. 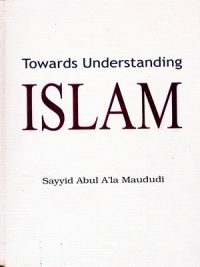 To maintain the quality of the book, frequent references have been cited from the Quran, the Hadith and authentic books of the Muslim scholars Western orientalists. The presentation of the topics/questions has been so formed as to aid the CSS aspirants practically. In this regard, proper outlines, comprehensive/terse introductions and critical assessments have been included in each topic which would definitely prove helpful for the candidates in the examination hall. 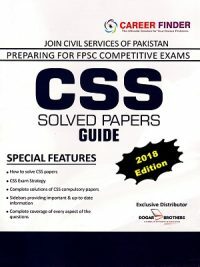 Although the paper can be attempted in both English and Urdu, however, as most of the candidates are educated in English medium of instruction, it becomes more convenient for them to solve the paper in English. 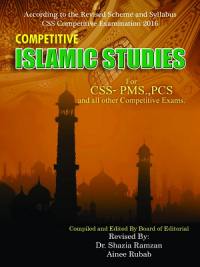 The present English project of Islamic Studies will facilitate their choice in coming CSS exams.